Taken with Sigma 10-20 MM f4.5-5.6 wide angle zoom lens at full wide 10 MM, using Canon Rebel Xti in AV program. Exposure of one second, f13, ISO 400. 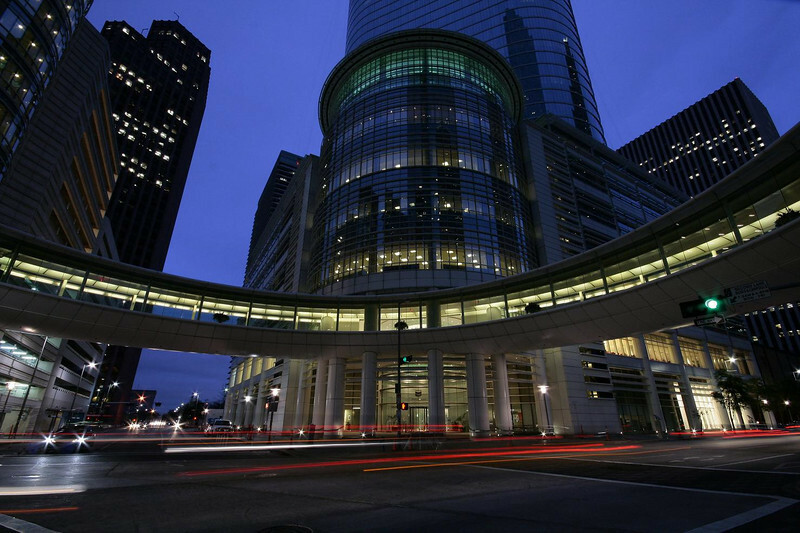 This is The Allen Center in Houston, facing east into twilight glow.